Tablets are a fairly new technology equipped with portability. With their slim design, enhanced functionality and reasonable pricing, tablets have revolutionized our modern lifestyle. Ranging from 3-9 inches wide, tablets act as miniature laptops or larger smartphones. Utilizing their unique features, users can catch up on the news, discover incredible things happening across the globe or simply stay connected with one another all on a single device. Tablets enable users to download and run programs with ease. There are a number of free as well as paid applications offered in the marketplace. Apps such as Evernote and OneNote are available for free download as notetaking tools during classes or business meetings. One notable benefit of these apps is that they are cross-platform, meaning users are able to sync their different types of devices to these apps so that the same data can be shared across the board. Tablets are catered to a wide range of users, extending from general to niche markets, teenagers to seniors, and the frugal, price-conscious students to the trendy, high-end crowds. The intense business competition pushes for the development of tablets to meet every need, and therefore everyone can use a tablet to enrich his or her learning experience. Tablets are engineered with usability in mind—there is one made for everyone regardless of professions, demographics and personal budgets. Tablets introduce portability into the lives of busy college students and working individuals. Instead of lugging around a heavyweight laptop, users can carry their handy devices along. Tablets make studying more enjoyable with their touch screen capability. Users can save money and paper with tablets since e-books and PDF copies most likely cost less and, in the meantime, are more eco-friendly. In addition, when users purchase the electronic versions, they are oftentimes able to access interactive materials that may not always come with printed textbooks. Tablets may become too distracting to learning with certain apps. Besides, having to invest in extra accessories can leave shallow holes in the wallet. Another downfall that happens with this type of technology is that not all websites and applications are mobile-friendly, which limits user accessibility on a tablet. From the very beginning, tablets were categorized somewhere between smartphones and laptops. Now that tablets are incorporating an increasing amount of features of both categories, they are expected to double up as laptops. In the future, tablets may very well replace the traditional laptop models altogether. Tablets can do nearly everything laptops do, with their technology constantly surpassing previous generations. So far many features of laptops have been integrated into most tablets; if they have not already, then there are programs and external add-ons (plug-ins) that users can install to accommodate their needs. Tablets are a cheaper, smarter and more convenient option compared to their predecessors. Textbook publishers have been pricing their texts higher by the school year. 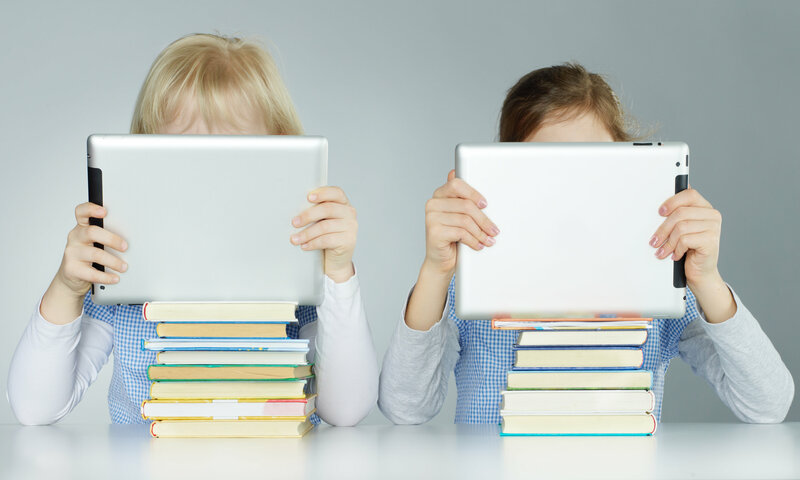 The promotion of digital textbooks encourages students to bring tablets into classrooms. More mobile-friendly apps that foster students’ interests in learning should be created for tablets as demand for e-learning apps that facilitate the interaction between instructors and students to help latter stay engaged in their learning activities will continue to grow.